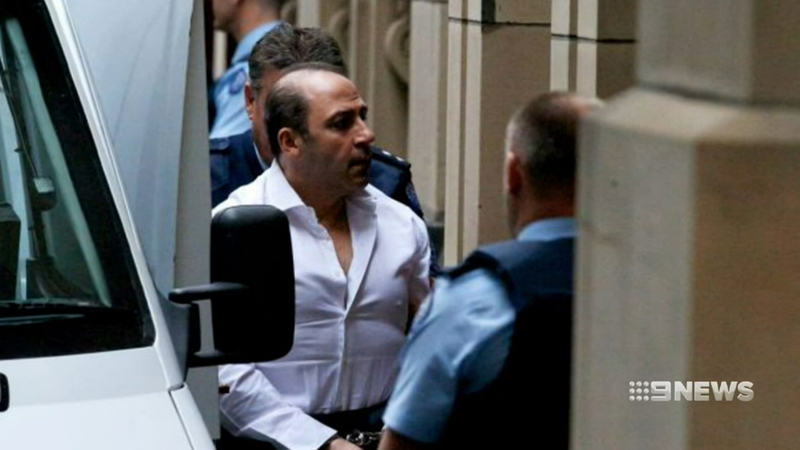 Notorious Melbourne criminal Tony Mokbel is now fighting for life after being stabbed at the maximum-security Barwon Prison, near Geelong. Emergency services were called to the facility on Bacchus Marsh Road, Anakie, about 3.45pm. Nine News understands Mokbel, 53, was stabbed multiple times in the chest and left bloodied and barely conscious. Corrections Victoria have confirmed a 53-year-old prisoner, along with a 31-year-old prisoner, have been taken to hospital. Mokbel was airlifted to the Royal Melbourne Hospital, and is now in a critical condition, a hospital spokesperson told 9News. The second prisoner, who has not been named, has been taken by road ambulance to a Geelong hospital and is also in a serious condition. Images from the news chopper showed a large number of emergency services personnel at the prison in the moments after the stabbing. Victoria Police have started an investigation into the incident, a government spokesperson said in a statement. "All violent incidents in custodial facilities are investigated and there will be a full review of this incident. Barwon Prison, located about six kilometres from Lara, remains in lockdown.The site is where gangland figure Carl Williams was fatally bashed in April 2010. Mokbel is serving a 30-year jail term, with a 22-year non-parole period, after pleading guilty to charges including trafficking large commercial quantities of methylamphetamine and ecstasy. The stabbings come just days after reports surfaced that Mokbel and other high-profile Victorian prisoners were considering appeals to their sentences amid the Lawyer X scandal. Royal commissioner Margaret McMurdo called for written submissions on Thursday before public hearings start at the end of March. "Input from individuals, particularly those who may have been directly affected by (Lawyer X&apos;s) conduct, is essential to the royal commission&apos;s inquiry," Ms McMurdo said. If the claims against Lawyer X - who cannot be named for legal reasons - are proven, they constitute a severe breach of client confidentiality, Victorian Bar Council president Matthew Collins QC said. Barrister Jack Rush QC, a former Supreme Court judge, labelled the scandal a disaster. "I was stunned to learn that potentially six more people are involved so that really does tend to cause a great deal of concern," he said, noting the majority of people who practise law do the right thing. Lawyer X leaked information about clients to police during the height of Melbourne&apos;s gangland war and has been linked to hundreds of convictions and the seizure of more than $60 million in assets. The lawyer&apos;s links to police stretched back to 1995. Published on Mon, 11 Feb 2019 07:55:00 GMT, © All rights reserved by the publisher.